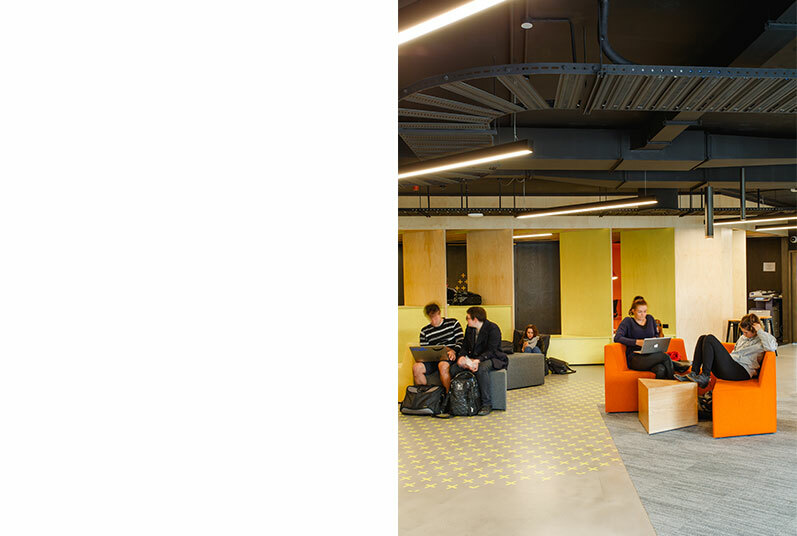 The UTAS Student Lounge on the Sandy Bay campus was designed to strengthen movement paths, provide students with varied study nooks for individual and group learning and to provide a social space that spills out onto the main campus boulevard. 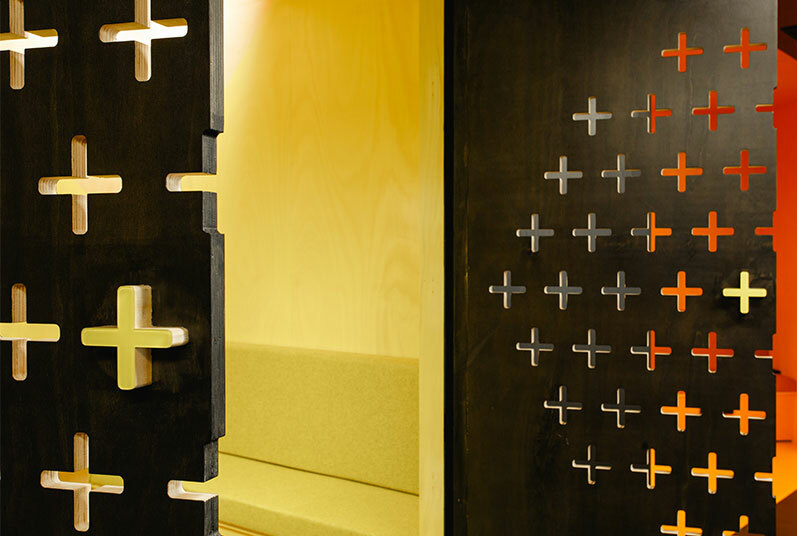 Key to design is a feature joinery spine that is manipulated to suit standing and sitting study. 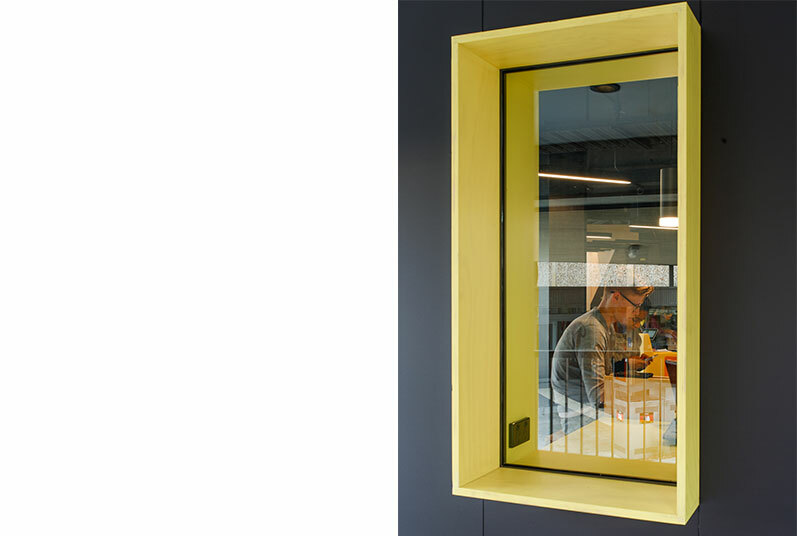 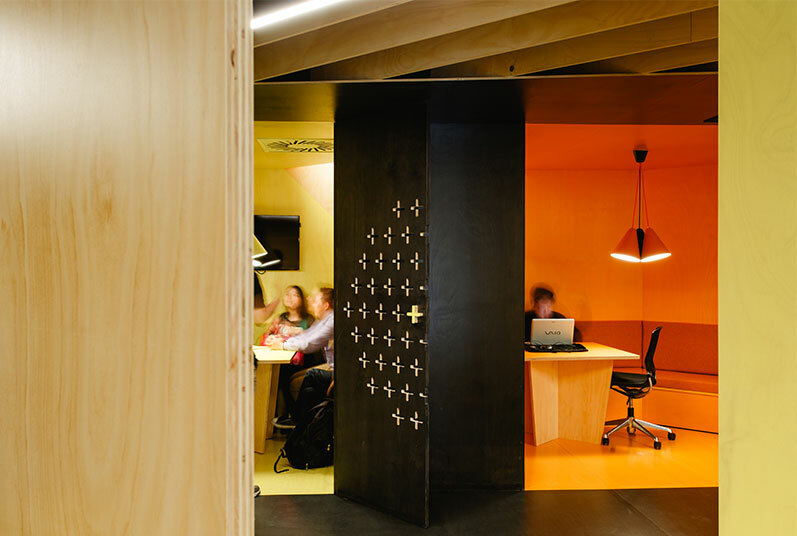 Plywood blades splice through the joinery item to encourage conversation between the rear study ‘caves’ and large open plan area. 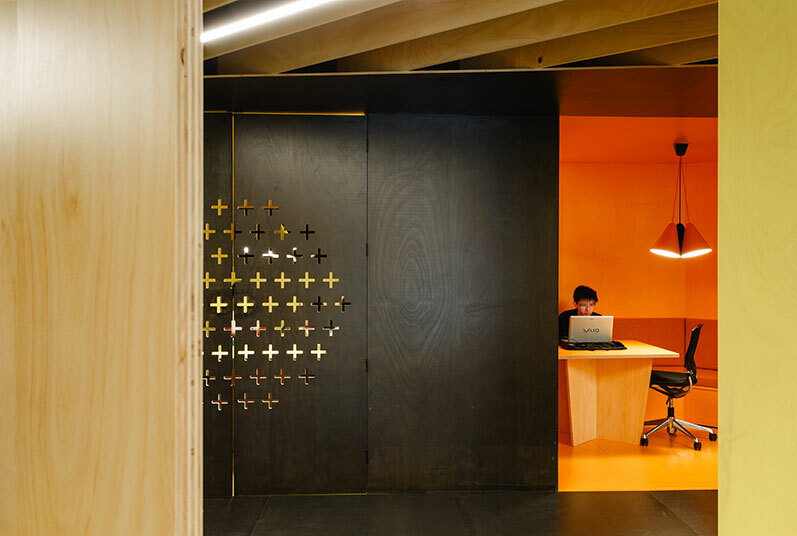 A robust palette of plywood and concrete were used to compliment the existing raw materiality of the building. 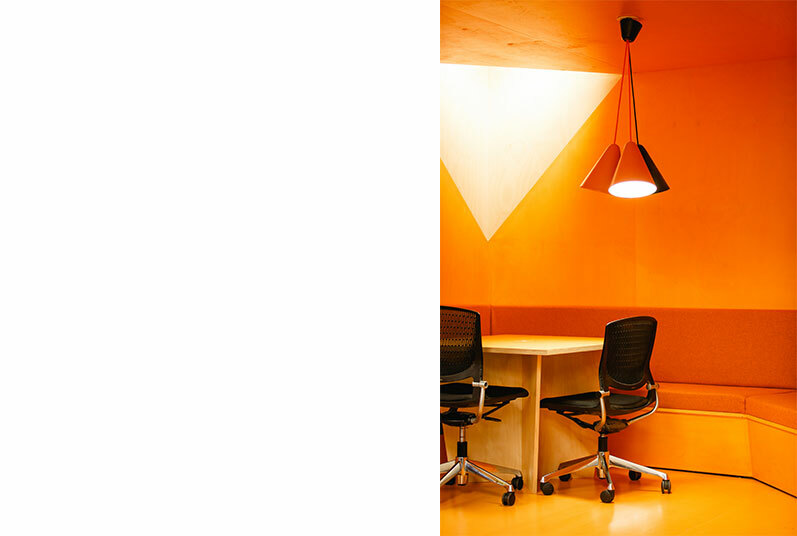 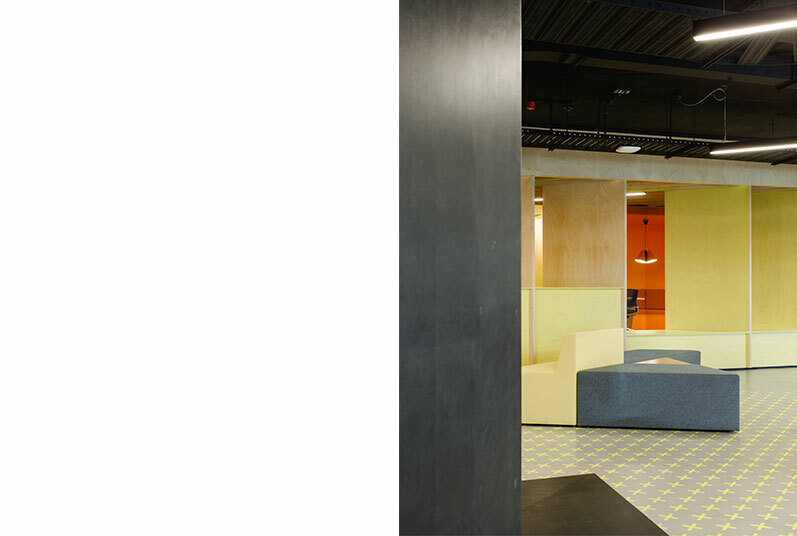 Colour is playfully applied to signify that the new hub is a joyous space for students to ‘chill out’ in between classes and be with their mates indoors and out.